Today we are announcing a little experiment. Many of you have been requesting a plugin marketplace for some time. And while we fully agree, it is still a bit further down in our roadmap. So in the meantime, we’ve partnered with our friends at Gremlin Interactive to offer a few 3rd party Corona Plugins. Gremlin Interactive™ is a software development company focusing on extending Corona’s functionality by making third-party plugins for various services & features. We plan on making a lot of plugins for Corona, so if you have a request for a plugin, please let us know! We also make games and applications for all of the leading app stores. For now, Gremlin has developed a couple of Corona Plugins and is licensing them through its own system. Info on how to use them can be found in their respective docs pages: the two initial plugins are for Kiip and PayPal. The licenses for usage of the plugins are being solely managed and handled by Gremlin and there is more info on this on their store and in their FAQs. Gremlin will also be solely responsible for support and maintenance of the plugins. We have created a forum dedicated to these plugins where you can ask questions and give feedback. We hope you enjoy the new plugins! UPDATE: To celebrate the launch of the plugins, Gremlin is offering 20% off the regular price if you buy a plugin before the 26th of April 2014! Please use the coupon: gremlin_20%_off at the cart or checkout page to apply the discount. UPDATE #2: These specific plugins are available to ALL tiers (Starter, Basic, Pro and Enterprise). This is great news. And two great plugins to start. Thank you Corona and Gremlin. Hopefully there’s more plugins to come soon. As we said in our blurb, we plan to make plenty more plugins for Corona. Naturally bear in mind that we probably won’t make every single plugin requested. But we will certainly take everyones suggestions into consideration. YES!!!! These look pretty legit! Paypal for the win. I am most impressed with what Gremlin was able to achieve here. Two amazing plugins launched in one day. 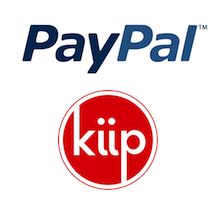 PayPal transactions will be a game changer for some of the apps I have in the pipeline and Kiip looks very promising. Thank you Gremlin for investing time into these plugins and thank you Corona Labs for allowing this development. Great day to be a Corona SDK developer. Thanks for the kind words Karem! This is only applicable for non-iOS apps, right? Or am I missing something in the bigger picture? Jeff – on iOS you can use Paypal if you are taking payments for “real” goods. Apple does enforce you using their own IAPs only for virtual goods.